The traditional library doesn’t raise attention for the teenagers. For most of them, the library comes across as a boring place. The mission for service design student team was to change these feelings and develop the future of the library. The focus was on a service path and a new, special space for teenagers. The project has also another important challenge – environment. Rovaniemi’s City Library is designed by well-known architect Alvar Aalto in 1965 and the space is part of the building. Rovaniemi’s City Library wanted to concentrate on teenagers, because nowadays situation between the teenagers and library is alarming. The target group’s opinions about libraries were clearly split in two categories. The active teenagers used libraries a lot, but still they considered it disorganized. The inactive teenagers couldn’t find a meaning or place from the library. The students made researching and observations before the active workshop days. The team had a great opportunity to simulate the library environment with two teenagers. They gave plenty of great ideas for the environment where teenagers can spend time. The students, teenagers and the procurator of Rovaniemi’s City Library started service path simulations from the entrance of the library to the lobby, finding useful information, searching the books and ended it to loaning books. During the simulations there were many questions coming out. Where is the right section? Where can I find the right book? Where can I ask help? Where can I spend time and read the books? The students, the teenagers and the procurator of the library were thinking about the different signs, symbols and information about finding the right place and finding the right book. list of antimicrobial drugs They were also creating new mobile search engine with a guiding map and mobile loaning. The main point was to make a library visit as easy as possible and somehow change the whole process in a new, innovative way – not forgetting the architecture design. 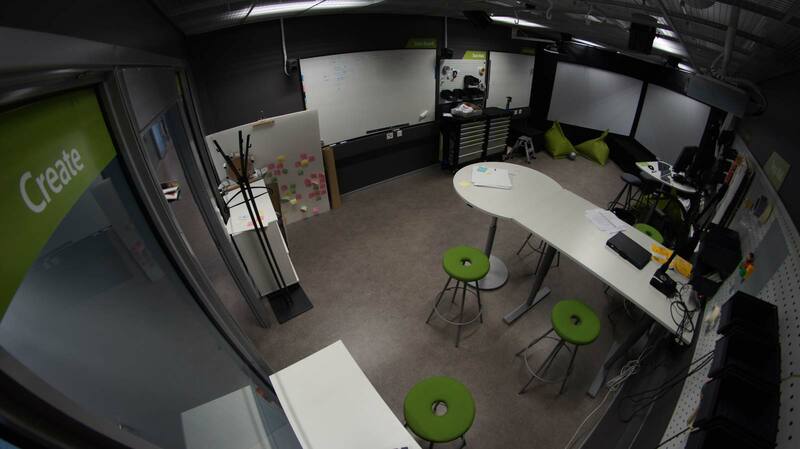 The service design students designed a space for teens by using their creative ideas! The ideas started by simulating service paths, playing with Legos and building scale models with different crafts. In all these parts the teenagers were prototyping and playing with the service design students. The final result of the workshop was a space with water floor, reading cones and game corners. Really creative!